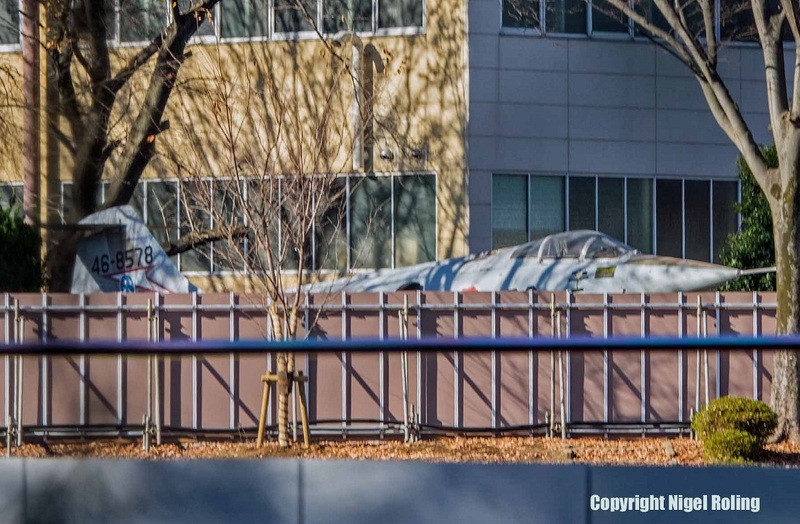 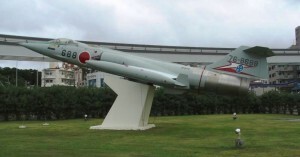 F-104J (cn 3197) preserved only fuselage and front section wreckage at Daqing Park, Ichikawa-city, Chiba prefecture. 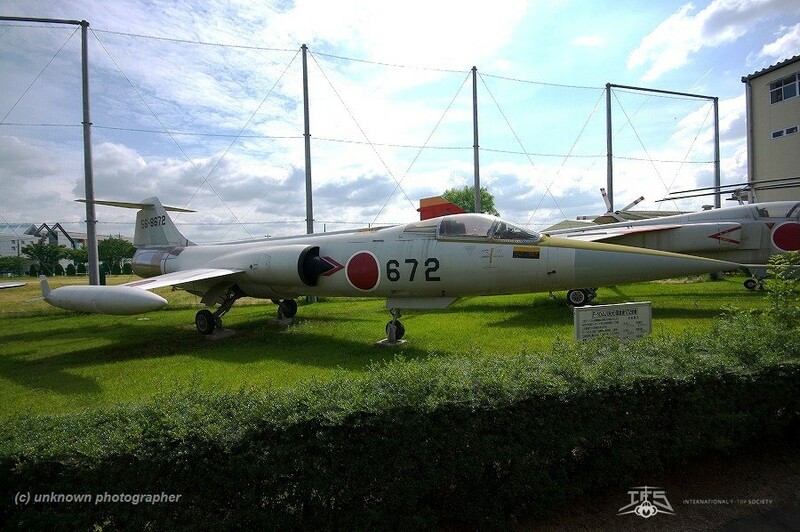 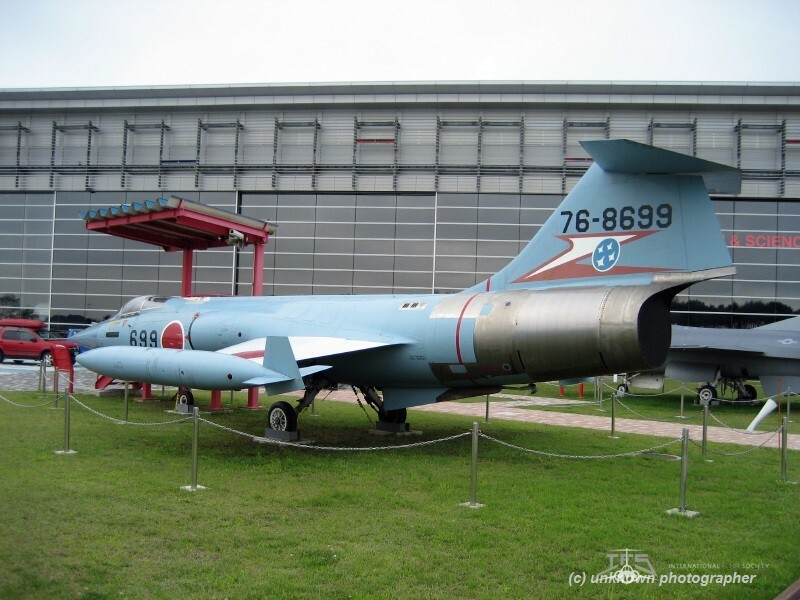 F-104J (cn 3071) preserved only fuselage and front section as 46-8571 at Daqing Park, Ichikawa-city, Chiba prefecture. 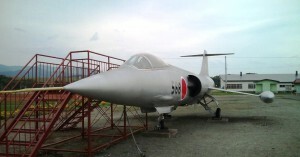 F-104DJ (c/n 5401) 26-5001, preserved inside the old-car center Kudan, Yamadaoka, Naraha town, Futaba County, Fukushima Prefecture with 207sq markings. 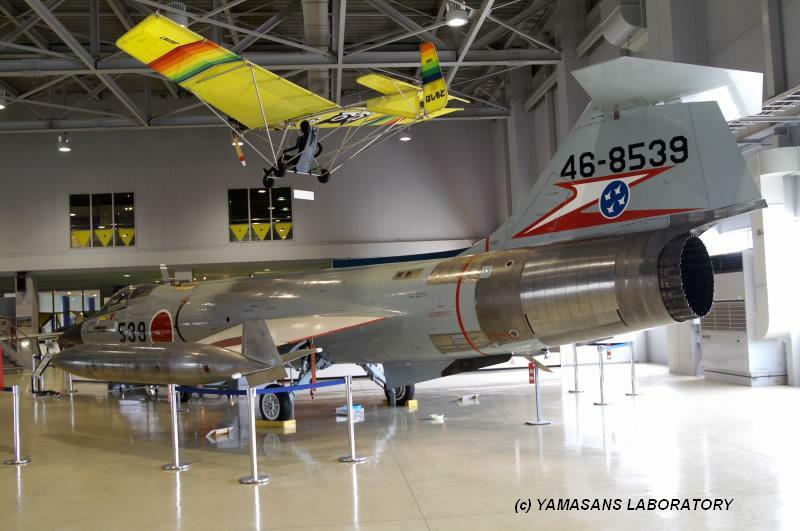 The museum is currently likely closed due to the Fukushima nuclear power plant accident. 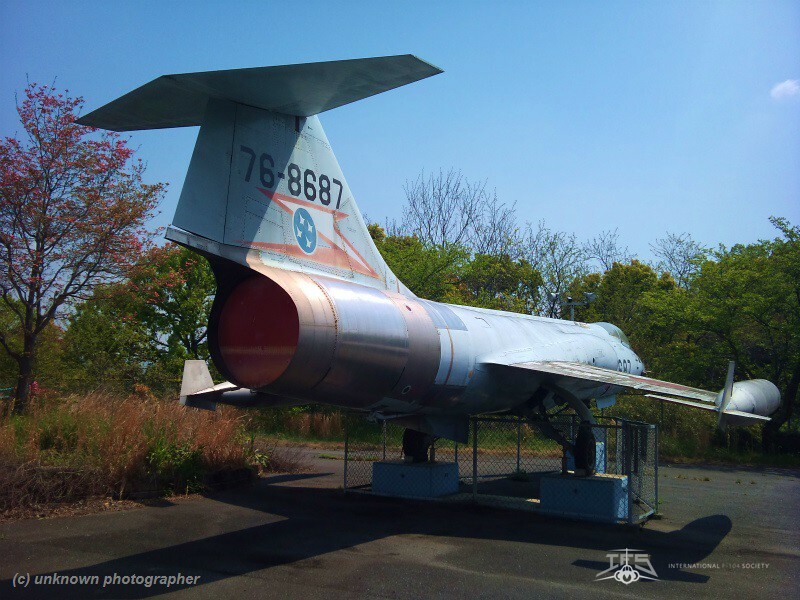 F-104DJ (c/n 5405) 26-5005, stored inside the old-car center Kudan, Yamadaoka, Naraha town, Futaba County, Fukushima Prefecture. 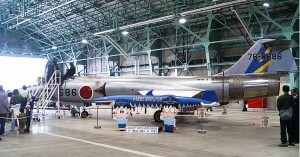 It is not known if it will ever be displayed next to the other 2 Starfighters. 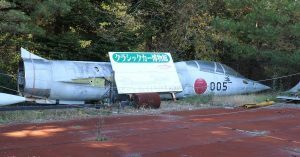 The museum has reopened after to the Fukushima nuclear power plant accident recovery but is still lying in the grass (dumped) as can be seen on the photo taken late 2018 by Otger van der Kooij. 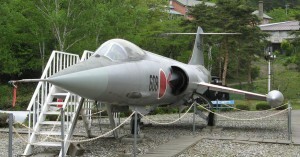 F-104DJ (c/n 5407) 26-5007, preserved on the roof of the entrance building of the Kawaguchiko Motor Museum at Fujizakura Highland, Narusawa Village, Kawaguchiko Town, Minamitsuru County, Yamanashi Prefecture. 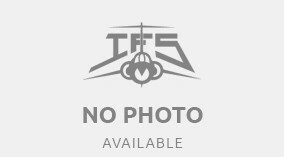 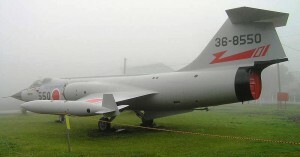 This aircraft can only be visited in the month August. 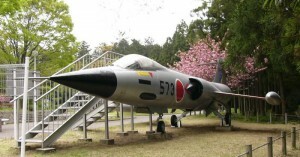 F-104DJ (c/n 5408) 26-5008, with 83AG-207sq markings, preserved inside the Shirokawa General Sports Park, Doi, Shirokawa Town, Seiyo City, Ehime Prefecture. 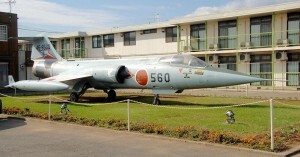 F-104J (c/n 3015) 36-8515 with APW markings preserved at Kakamigahara Aerospace Science Museum. 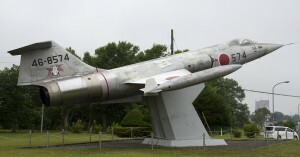 Kakamigahara-city, Gifu Pref. 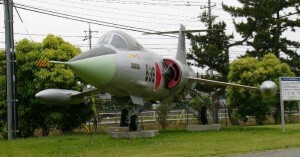 F-104J (c/n 3032) 36-8532 preserved at the Army depot at Kisarazu, Chiba Pref. 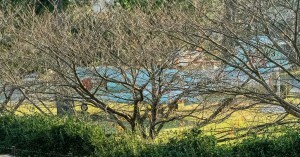 Recently it was moved to a different location at this depot. 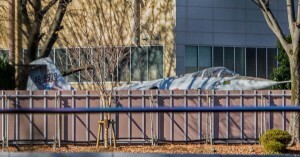 Photo shows it still on the old location. 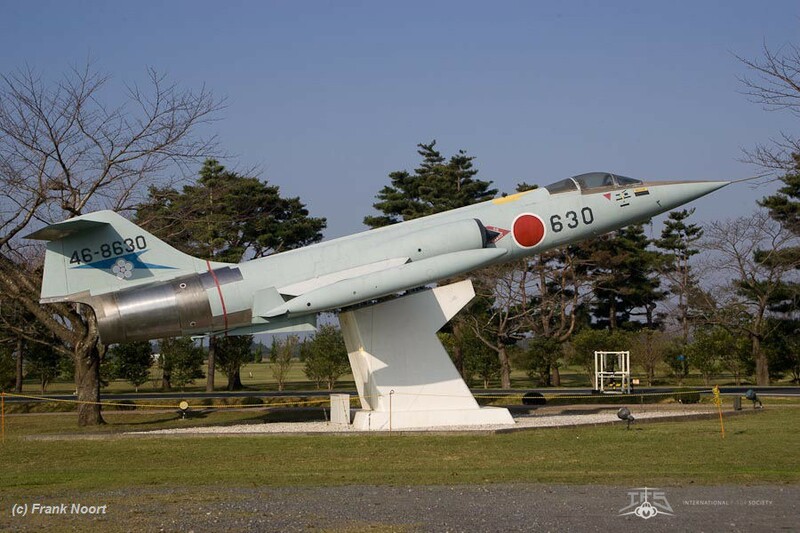 F-104J (c/n 3035) 36-8535 with 2W-203sq markings preserved at Matsushima Air Base gate. 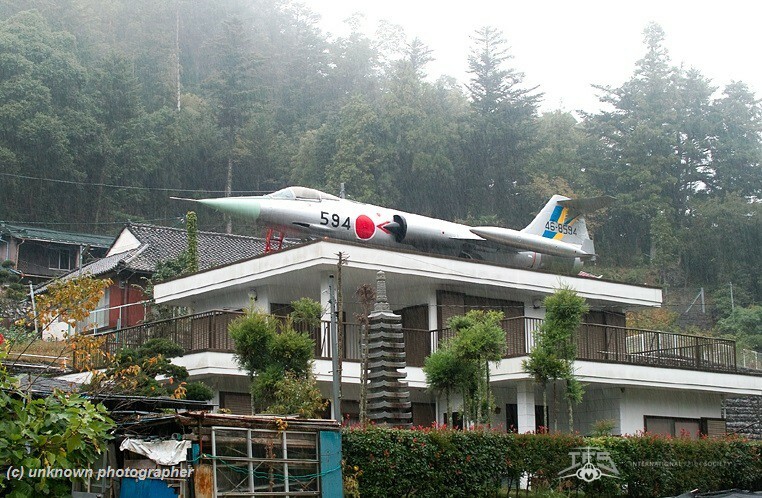 During the Tsunami disaster early 2011 it was damaged and floated to a side area. 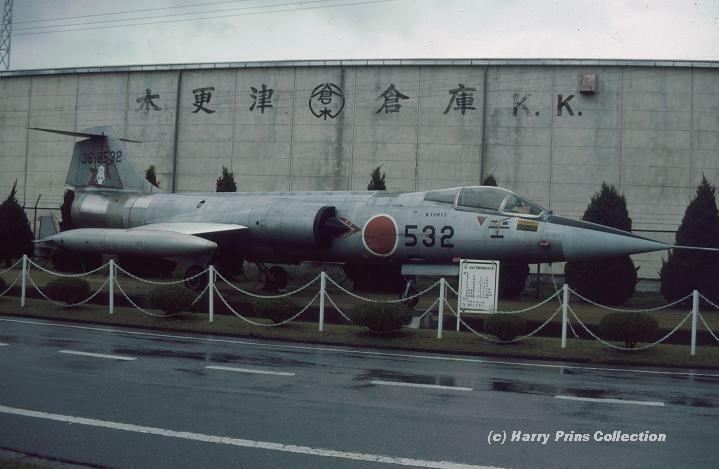 F-104J (c/n 3037) 36-8537, with 203sq markings at Hofu / Kita AFB. 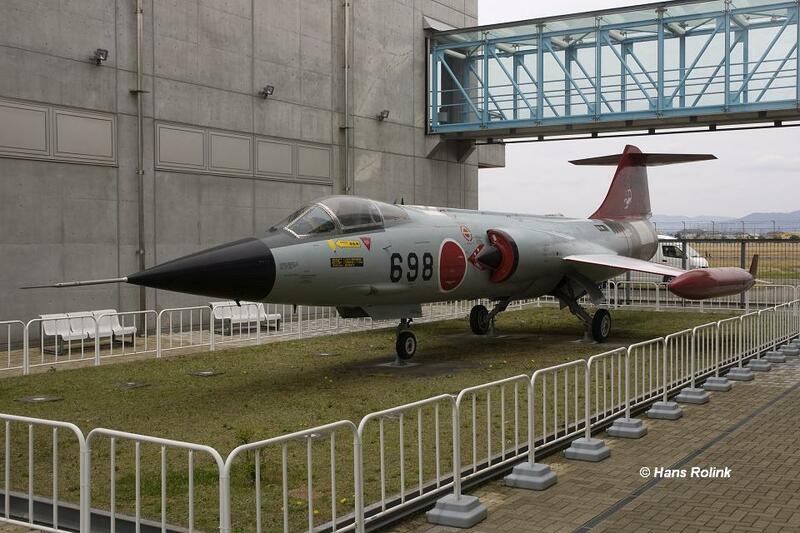 F-104J (c/n 3039) 46-8539, with 207sq markings, preserved at Komatsu City inisde the Ishikawa Aviation Plaza. 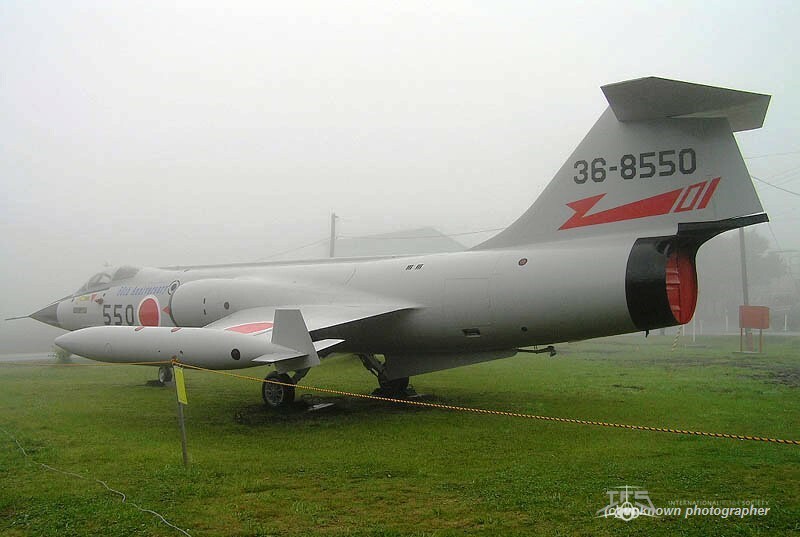 F-104J (c/n 3040) 36-8540, with APW markings (earlier days with 2W-203sq markings) preserved as part of the Gifu Air Base Museum collection. 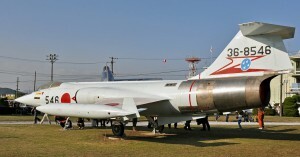 F-104J (c/n 3050) 36-8550, with 2W-201sq markings, preserved at the Numero Radar Base, Numero. 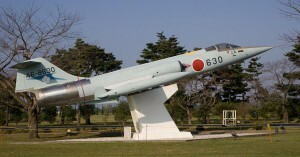 F-104J (c/n 3051) 36-8551, preserved at the Tobetsu Radar Base, Tubetsu as “001”. 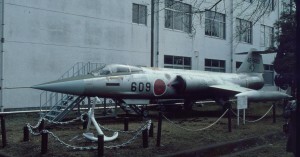 F-104J (c/n 3058) 36-8558, with 5W-202sq markings, preserved at the Tokyo Metropolitan, Tachikawa. 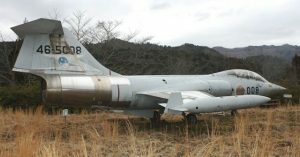 In November/December 2016 it was seen in parts at this location (just as the T-33). 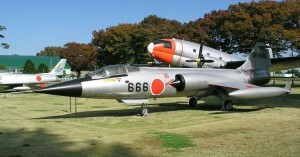 It looks like both will or have been scrapped. 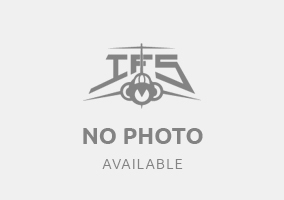 Who can confirm? 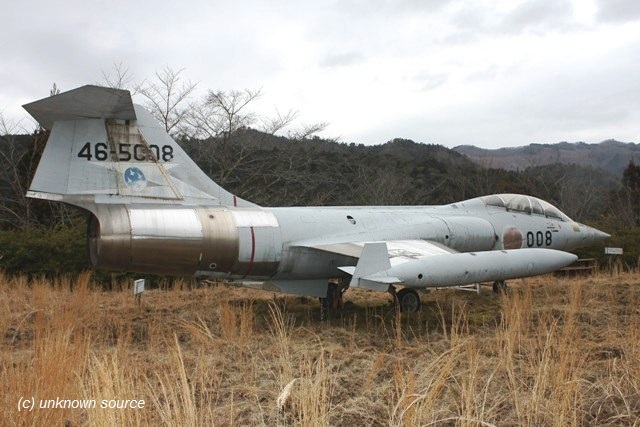 F-104J (c/n 3060) 46-8560, with 207sq markings, preserved at the Japanese Aviation Academy at Futaba town, Yamanashi-pref. 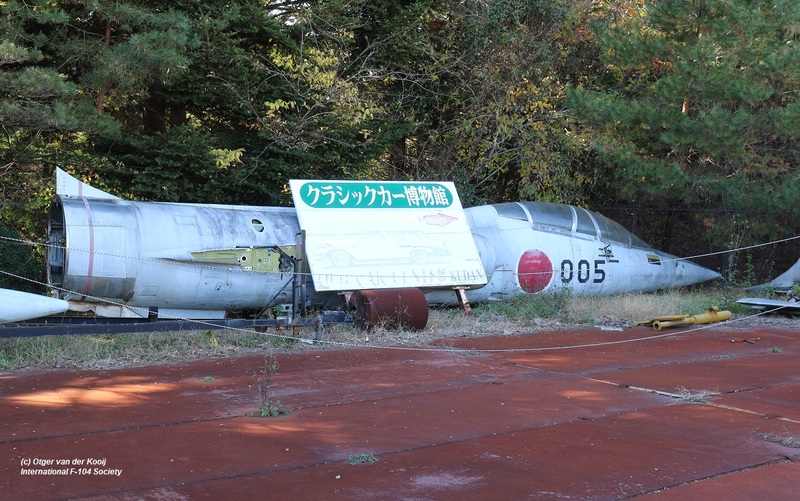 It was former used as instructional airframe. 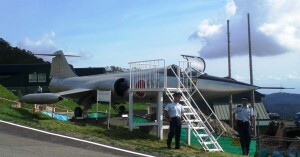 In 2009 under restoration. 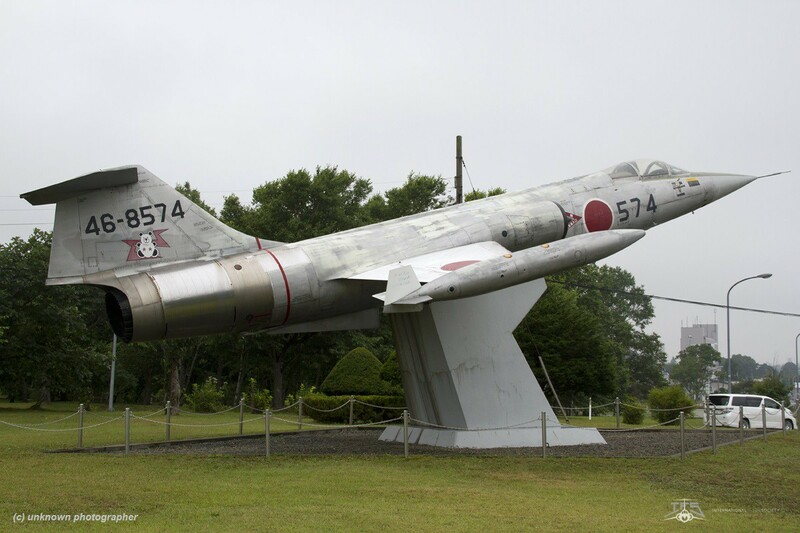 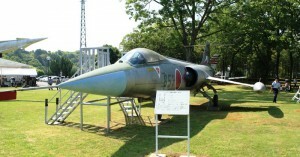 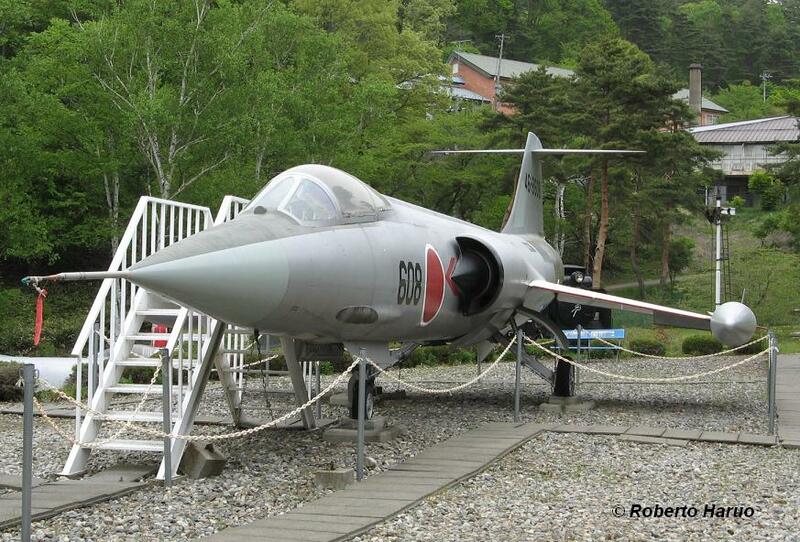 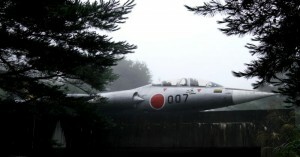 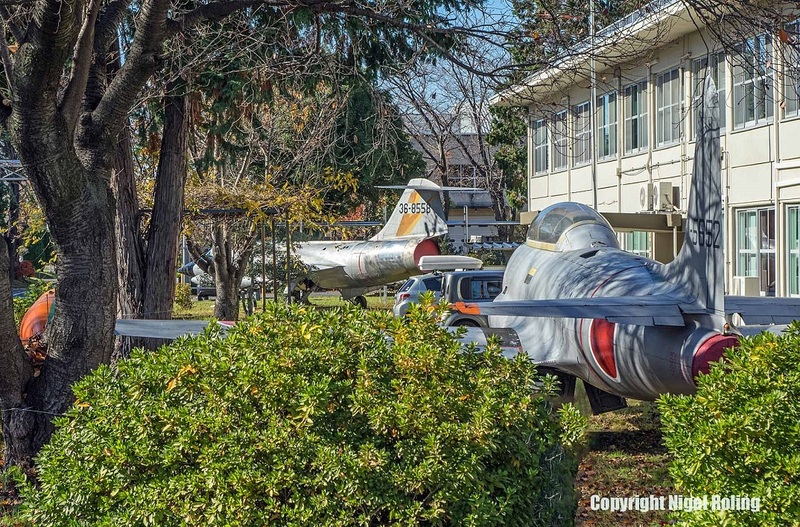 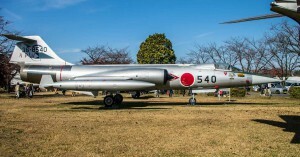 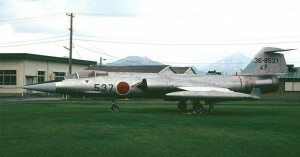 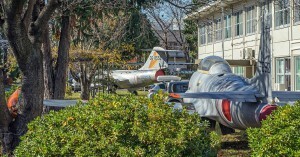 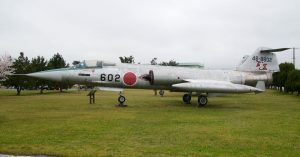 F-104J (c/n 3068) 46-8568, with 2W-203sq markings, preserved in Kotobuki Park Hakiodo, Nakatonbetsu town. F-104J (c/n 3073) 46-8573, with 5W-204sq markings, preserved inside the Kanai Undou Kouen (Kanai Sports Park) in Sado City, Niigata Pref..
F-104J (c/n 3074) 46-8574, with 2W-201sq markings on left side and 2W-203sq markings on starboard side, preserved on a pedestal inside the Aviation park at Chitose AFB. 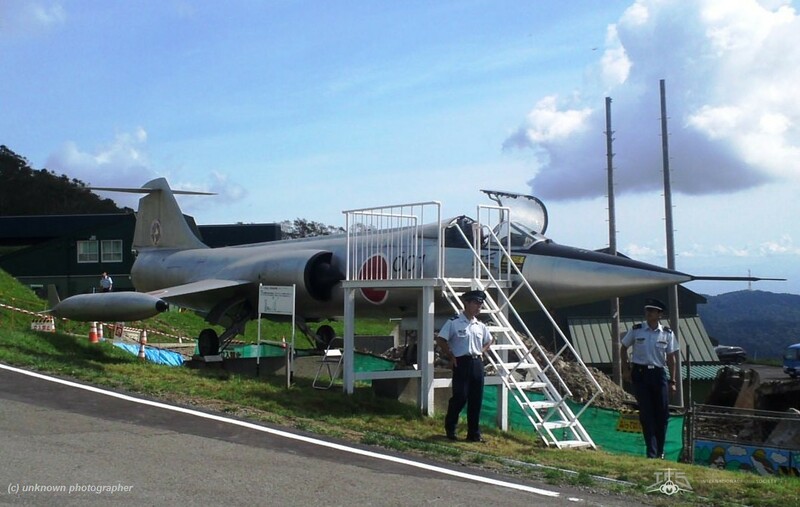 It was refurbished in 2014 and remounted in October 2014. 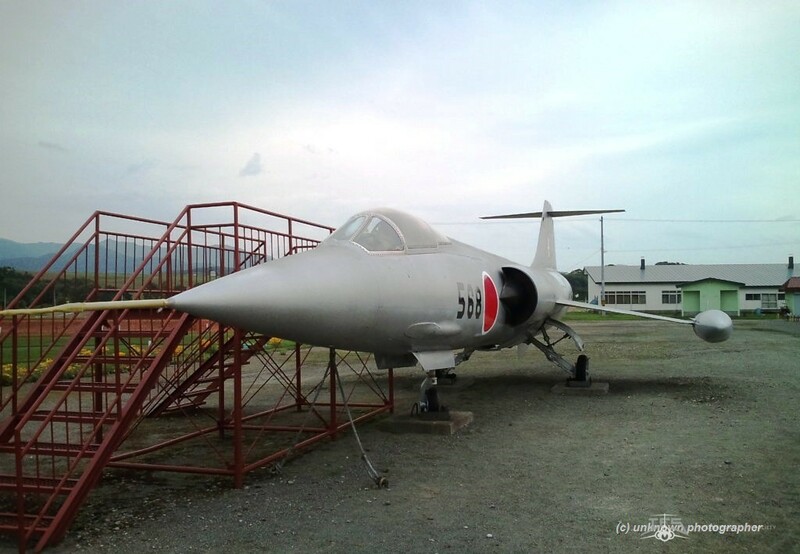 F-104J (c/n 3078) 46-8578, preserved at Ishikawajima Harima Heavy Industries Co Ltd, Mizuho Tokyo-Metro, Mizuho town. 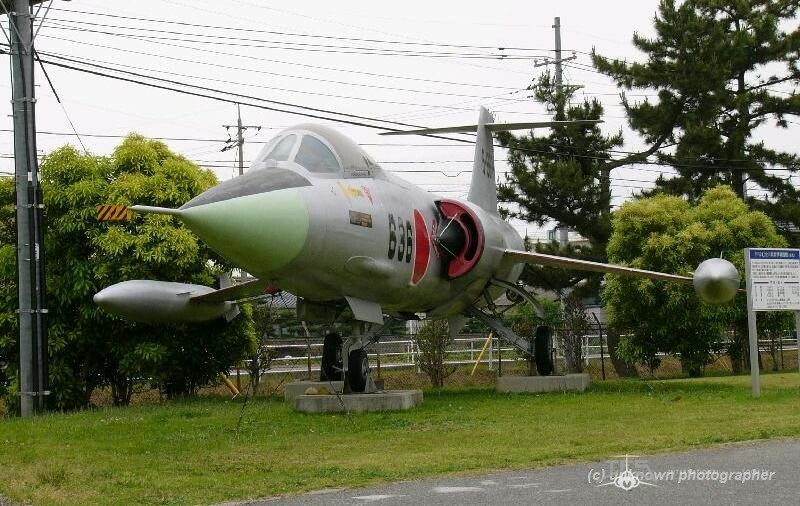 F-104J (c/n 3087) 46-8587, preserved on a truck at Daikeien, Oomachi, Ichikawa City, Chiba Prefecture, near Tokyo. 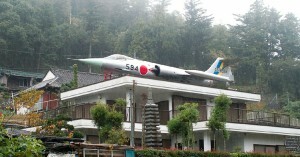 F-104J (c/n 3094) 46-8594, with 5W-204sq markings, preserved at on the roof of a house at Minobu Town, Minamikoma County, Yamanashi Pref. 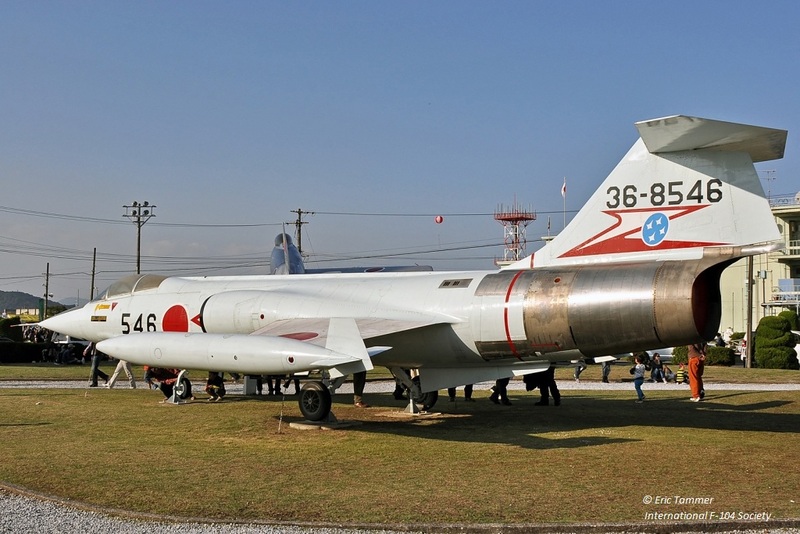 F-104J (c/n 3102) 46-8602, with 2W-203sq markings, preserved at Yonago Apt, Miho. 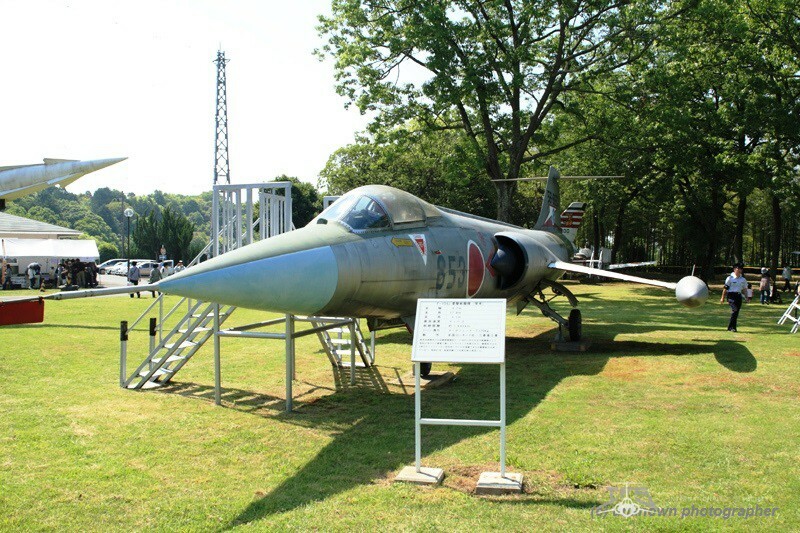 F-104J (c/n 3103) 46-8603, preserved at Kasuga AFB near the barracks. 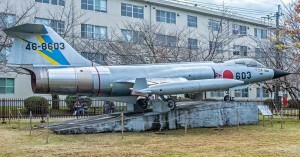 F-104J (c/n 3107) 46-8607, without markings, preserved at the University of Technology at Fukui city. 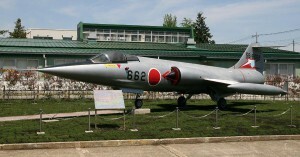 F-104J (c/n 3108) 46-8608, preserved inside Hijiri Museum at Nagano (Nagano Prefecture, Higashichikuma County, Omi Village). 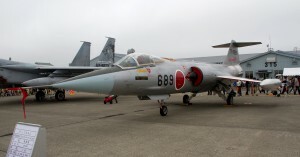 In between it got repainted around 2006 and has no squadron markings anymore. 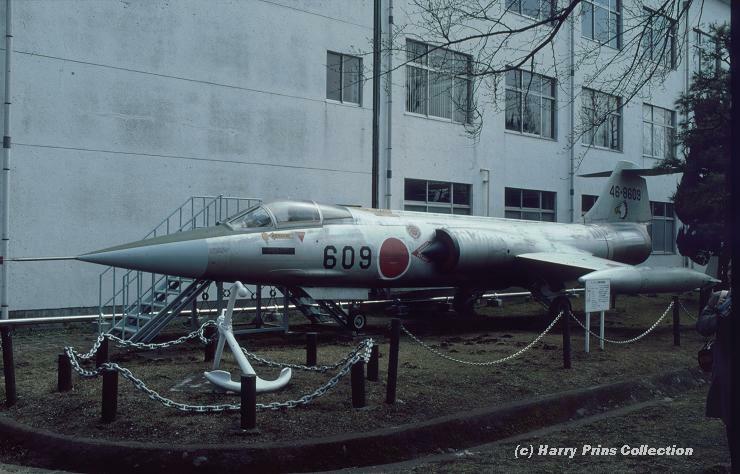 F-104J (c/n 3109) 46-8609, with 5W-204sq markings, preserved at National Defence Academy, at Yokosuka-shi, Kanagawa pref. 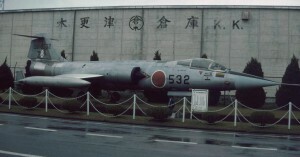 F-104J (c/n 3130) 46-8630, with 206sq markings, preserved as gateguard at Hyakuri AFB. 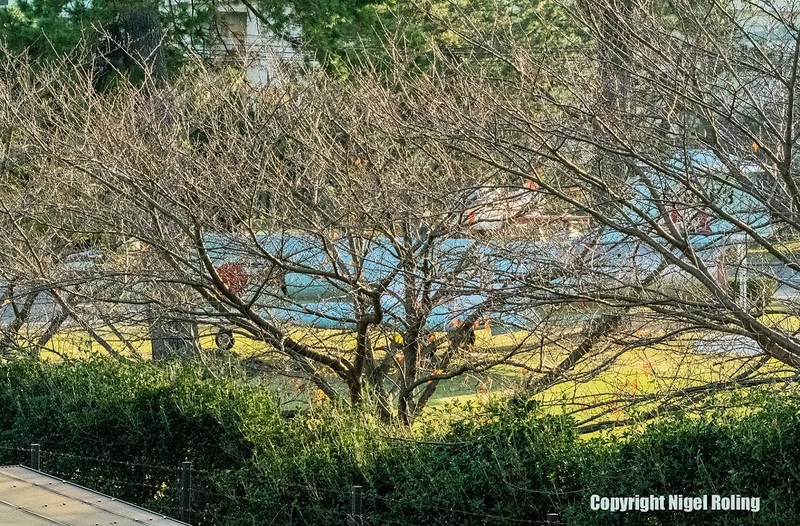 (photo thanks to Frank Noort). 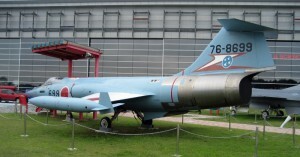 The aircraft has been refurbished into light blue colorscheme in 2018. 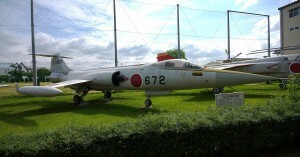 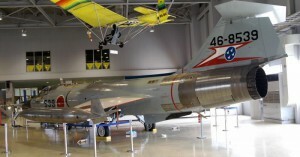 F-104J (c/n 3136) 46-8636, preserved near the barracks at Hofu AFB. 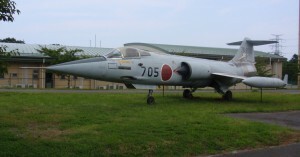 F-104J (c/n 3146) 46-8646, preserved at Komatsu AFB. 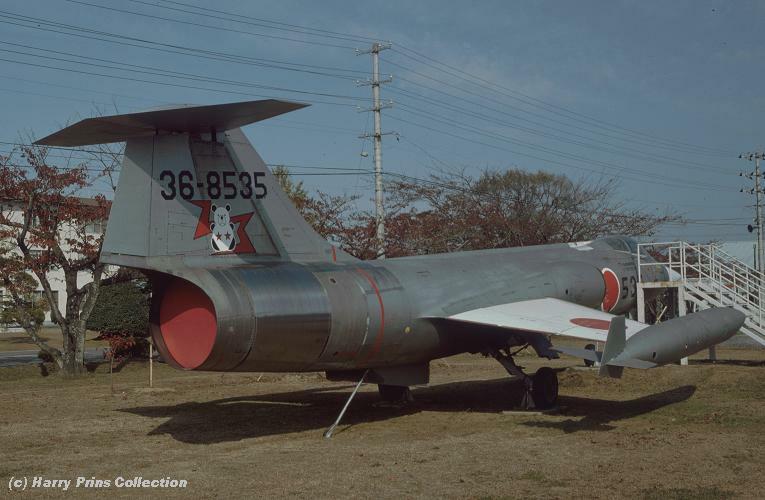 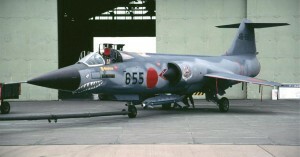 F-104J (c/n 3153) 56-8653, with markings of 83AG-207sq, preserved at a camp at Nara. 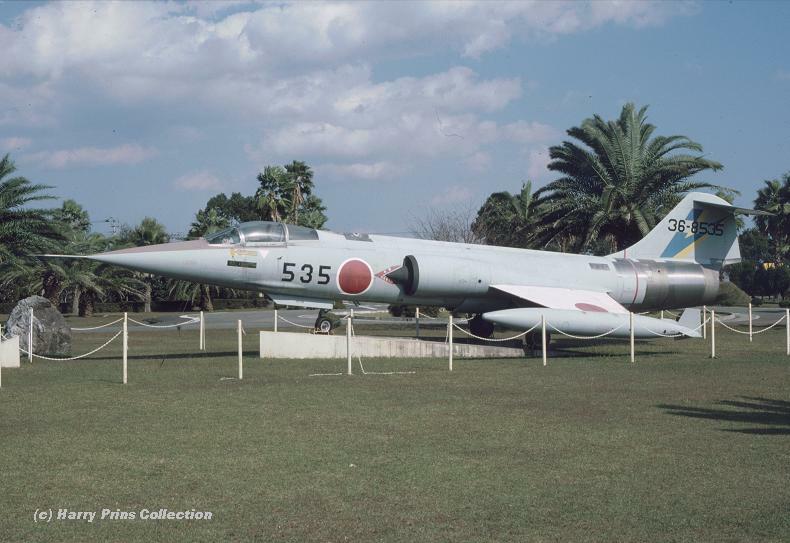 F-104J (c/n 3156) 46-8656, with 5W-204sq as well as 5W-202sq markings, preserved at the gate of Nyutabaru AFB with fake serial “36-8535”. 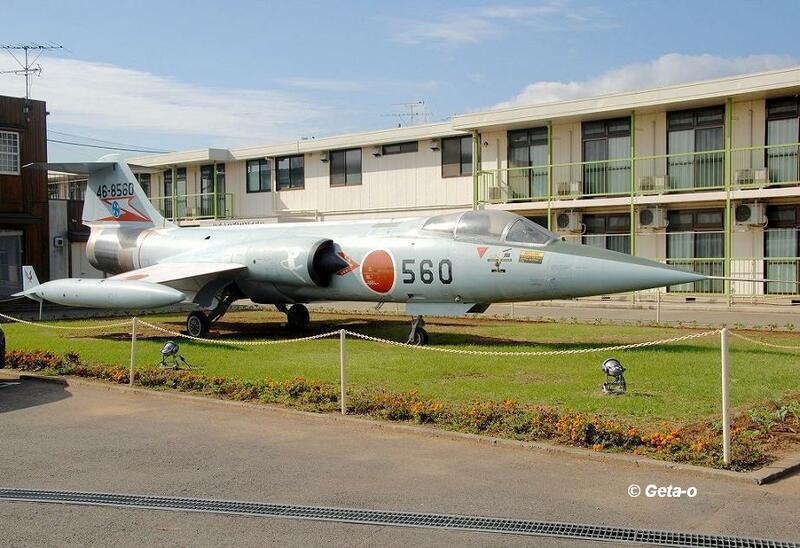 This serial was choosen since the original “36-8535” was the first aircraft delivered to this Airbase early 60s. 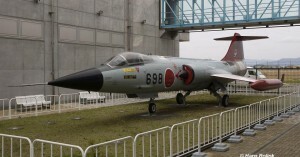 F-104J (c/n 3162) 56-8662, with 83AG-207sq markings, preserved at Fuchu Air Base. 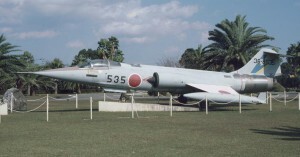 F-104J (c/n 3163) 56-8663, with 2W-203sq markings, preserved as gateguard at Ashiya Base. 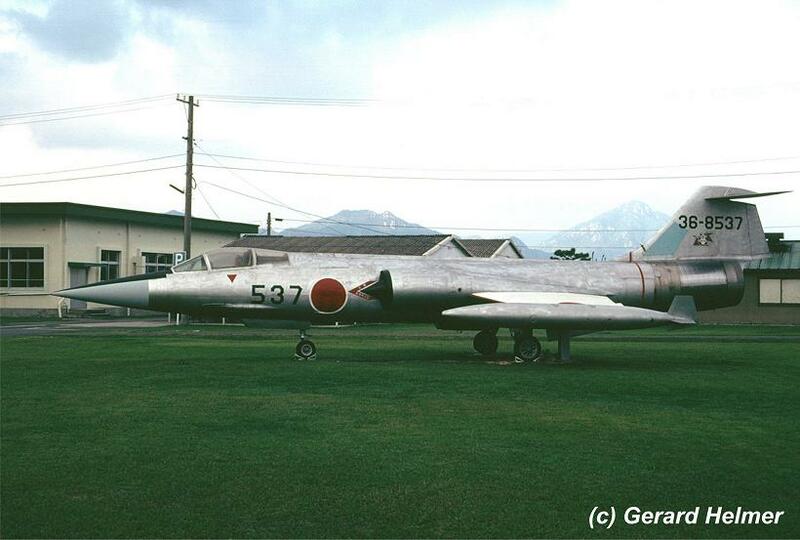 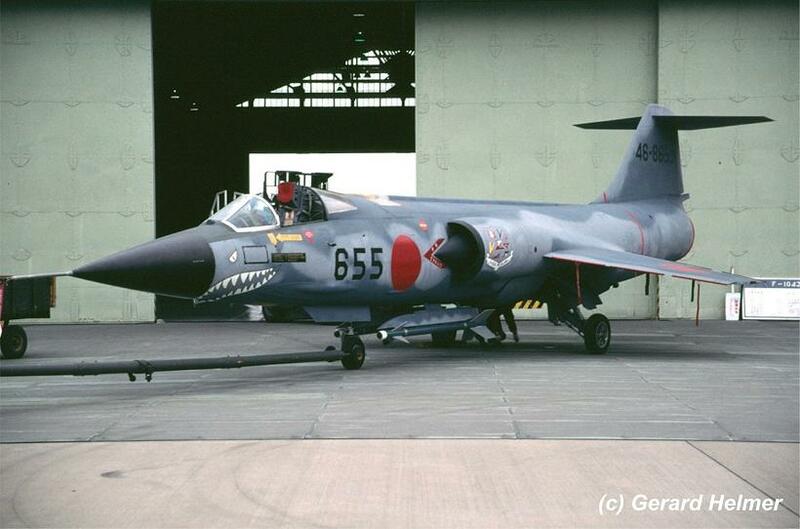 F-104J (c/n 3166) 56-8666, without markings, preserved at Iruma near the gate. 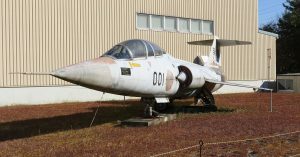 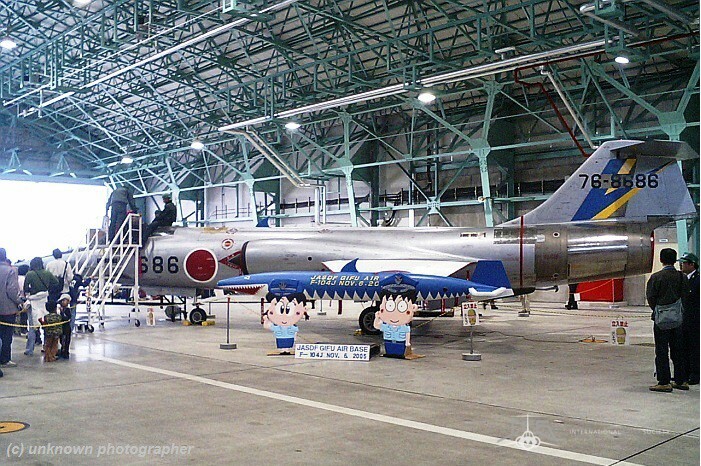 F-104J (c/n 3172) 56-8672, preserved at the Mitsubishi Plant premises, Nagoya Komaki area. 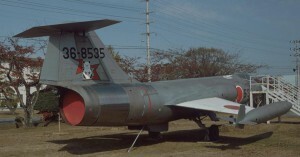 F-104J (c/n 3186) 76-8686, with 5W-204sq markings, preserved at Gifu AFB, often used for static display during open houses. 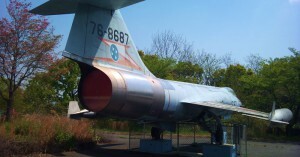 F-104J (c/n 3187) 76-8687, with 83AG-207sq markings, preserved inside the Kyouyama Solar Green Park, Okayama. 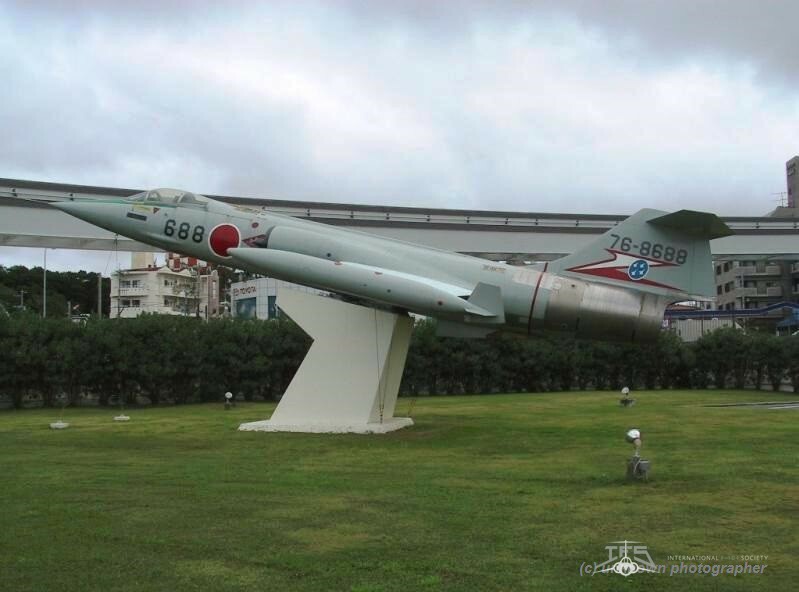 F-104J (c/n 3188) 76-8688, with 83AG-207sq markings, preserved Naha AFB with aft section from F-104J 76-8683. 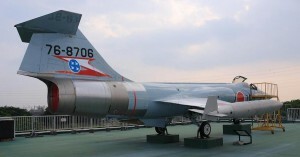 F-104J (c/n 3189) 76-8689, with 2W-201sq and 203sq markings, preserved Chitose AFB. 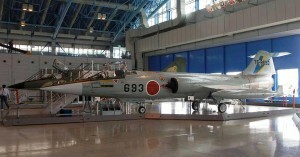 F-104J (c/n 3193) 76-8693, with 5W-204sq markings, preserved Air Museum, Hamamatsu. 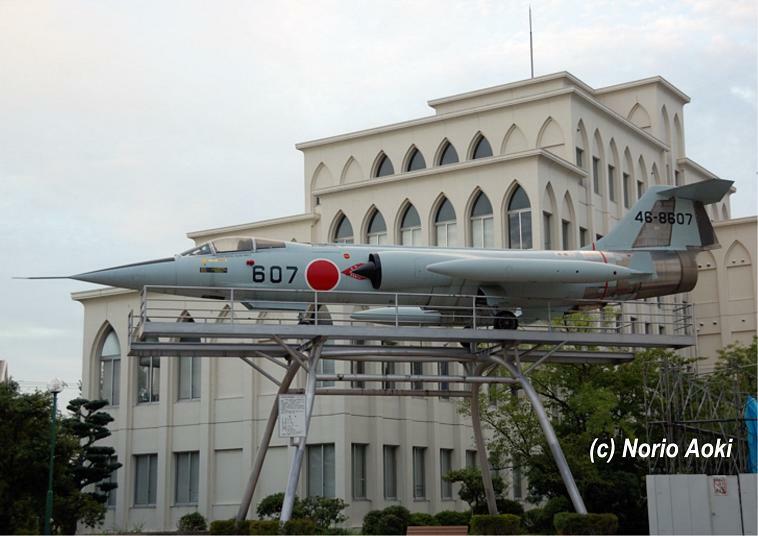 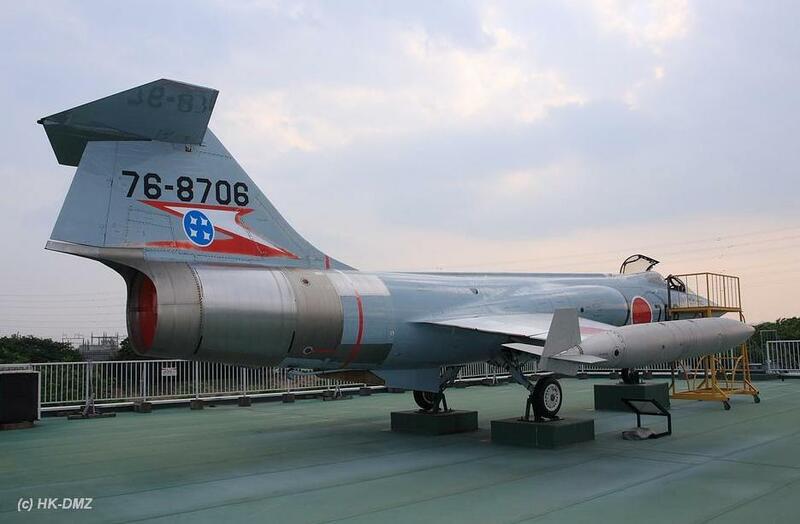 F-104J (c/n 3198) 76-8698, with Drone sq markings, as UF-104J, preserved outside Air Museum at Hamamatsu. 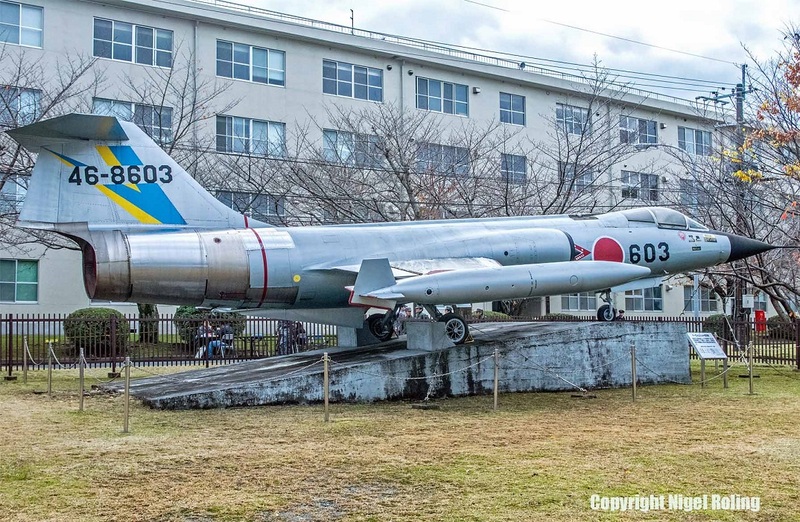 F-104J (c/n 3199) 76-8699, with 83AG-207sq markings, preserved Aviation Science Museum at Misawa also known as the City Sky Park..
F-104J (c/n 3204) 76-8704, with 83AG-207sq markings, preserved at Kamagaya City, Saitama Pref. 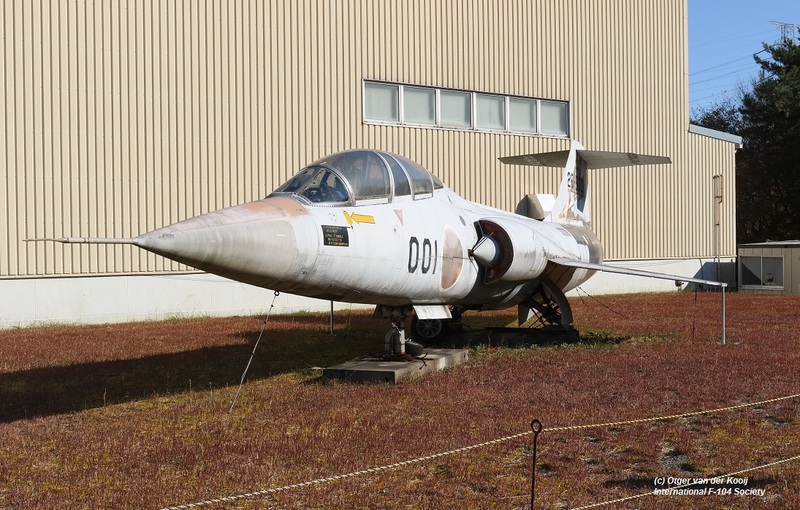 F-104J (c/n 3205) 76-8705, with 83AG-207sq markings, preserved Old Car Centre at Fukushima. 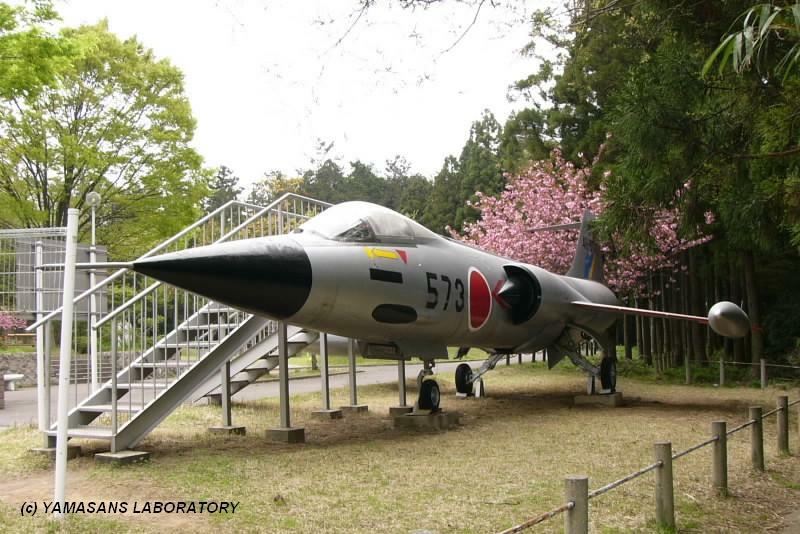 The museum is currently likely closed due to the Fukushima nuclear power plant accident. 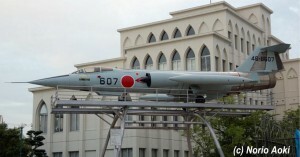 F-104J (c/n 3206) 76-8706, with 83AG-207sq markings, preserved on the roof of the Hasegawa model company in Yaizu City, Shizuoka. 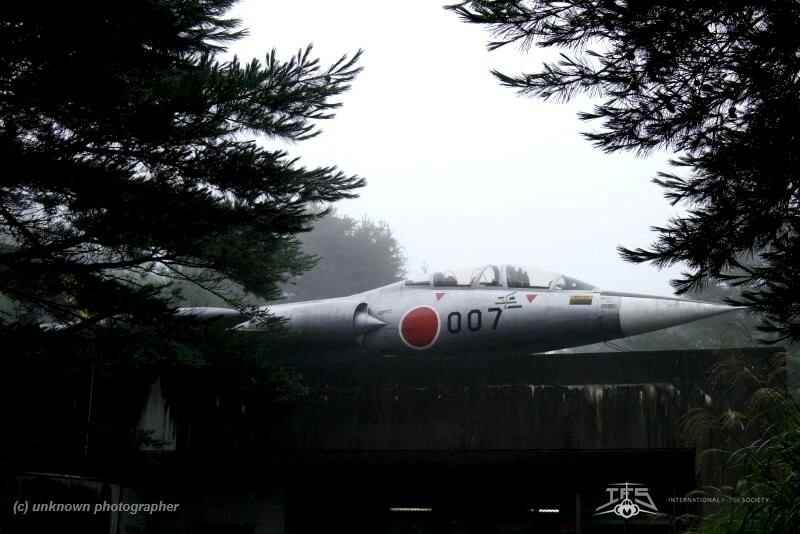 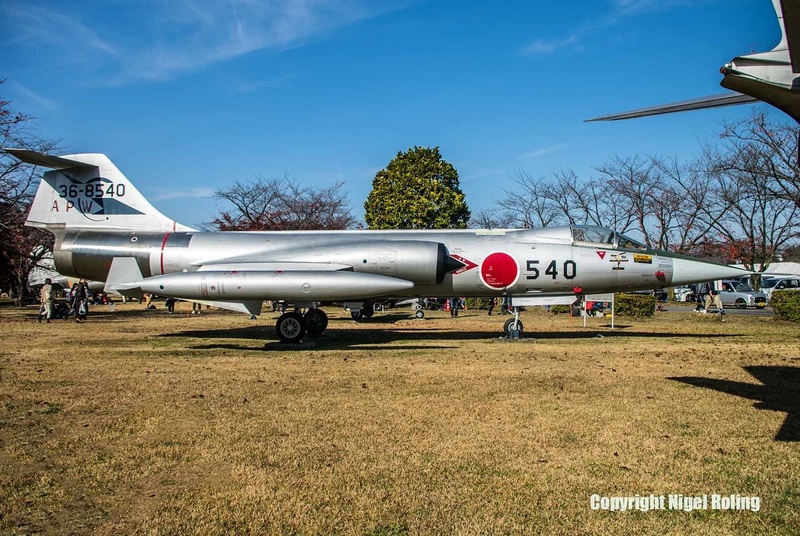 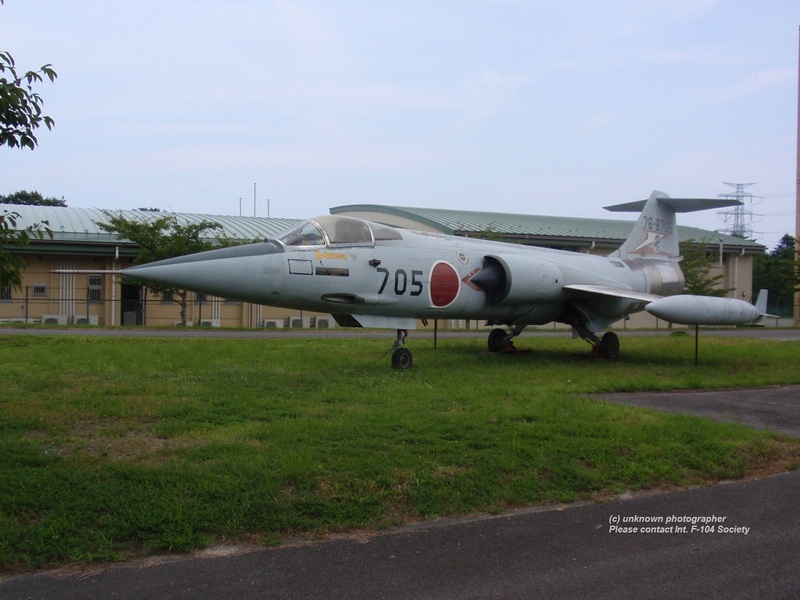 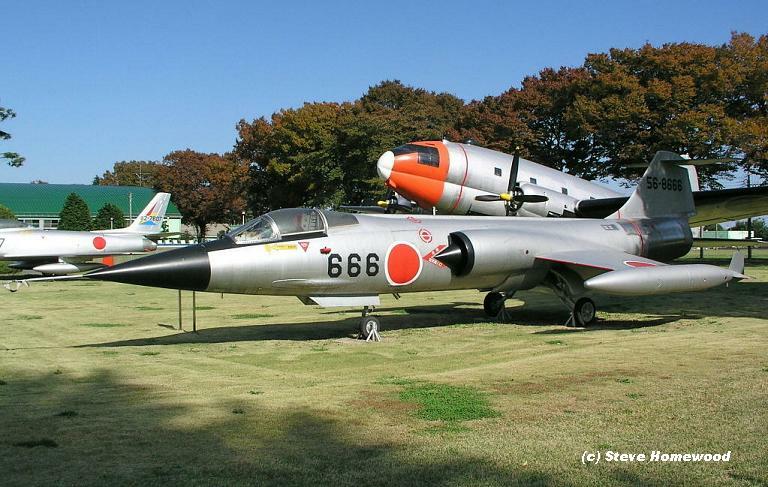 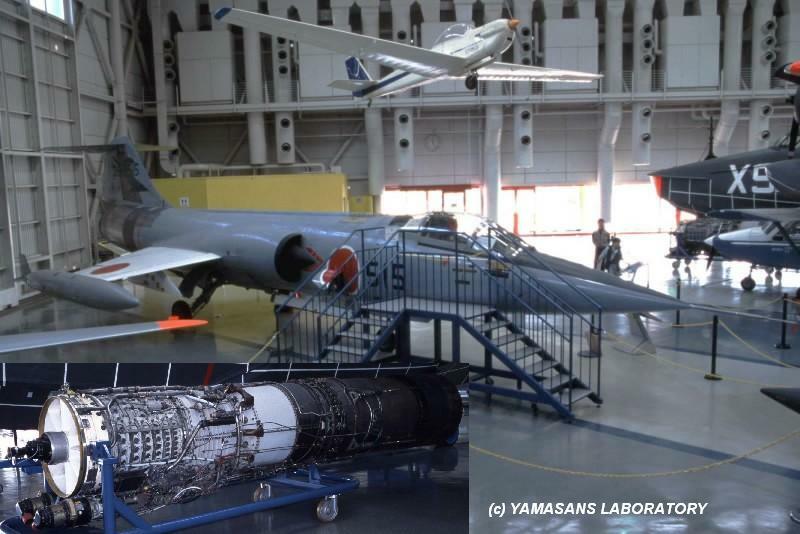 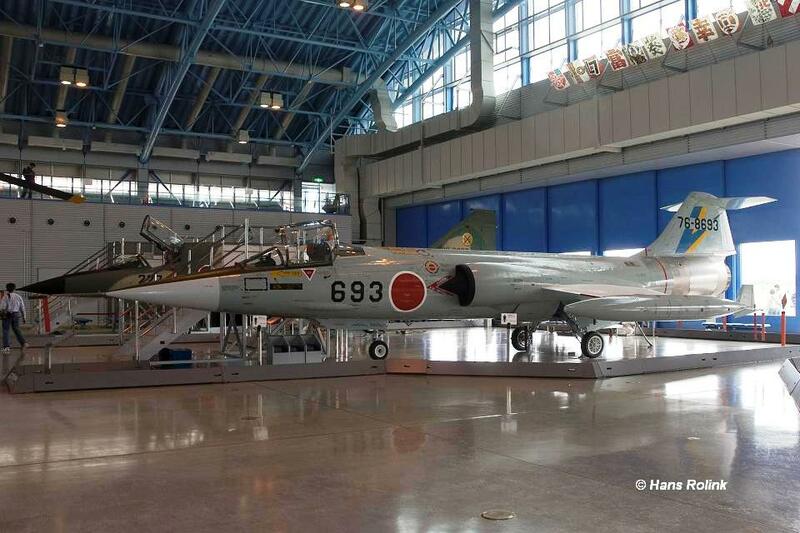 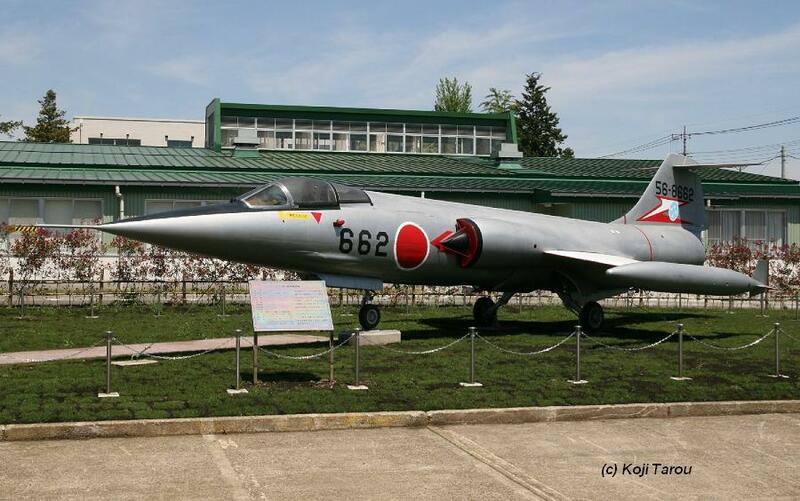 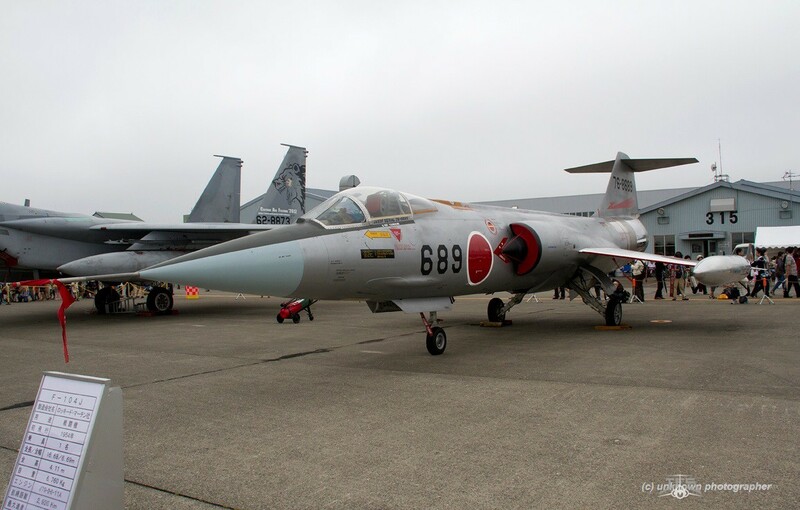 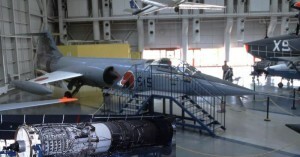 F-104J (c/n 3210) 76-8710, with 2W-203sq markings, preserved at the Naka Nippon Aviation College, Seki City, Gifu Prefecture..